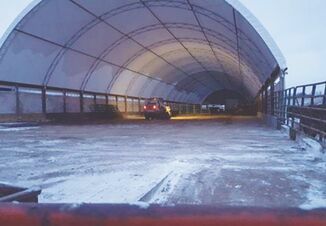 When Duane and Ronda Meier built a two free stall barns with a new parlor the original intention wasn’t that their children would be back on the farm 20 years later working with them. 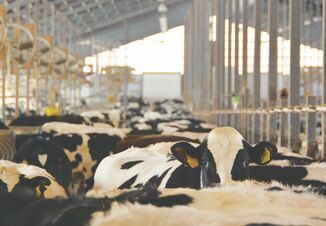 When the double-10 parlor was nearing the end of its days at Meier Dairy near Palmer, Kan. a decision needed to be made on what milking system to go with. The Meier family opted to go with robotic milkers because finding milkers, especially for the third shift was becoming difficult. 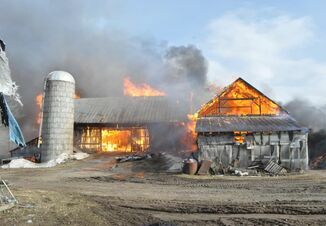 The technology also offered additional opportunities for four of the five Meier children to remain involved with the farm after coming back from college. Duane and Ronda spoke at World Dairy Expo during a Virtual Farm Tour where they shared their experience automating their dairy and working with the next generation. Going with robotics has been beneficial to the cows with production coming up from when the dairy was at three-times a day milking, prior to going to two-times because of a lack of local labor. Duane believes the robotics, which include automatic feed pushers and automatic calf feeders, are helping better care for the cows. “Take care of the cows and they’ll take care of you,” Duane says. Meiers are milking 650 cows total, with the majority being Holsteins and 65 head of Jerseys milked and managed in a separate pen. The current rolling herd average of 25,000 lb. with cows going through the robotic milkers 2.9 times per day. The combined bulk tank averages are 3.75% fat and 3.30% protein. Meier family homesteaded in late 1800s around Clay County, Kan.
Duane’s grandfather built a stanchion barn in 1919, the start of a dairy farming tradition near Palmer, Kan. In the future an automated feeding system like the Lely Vector might be a possibility to help add more automation to the farm, Duane says. Ronda’s one request before she hands the reigns over to the next generation would be a new calf and heifer facility.